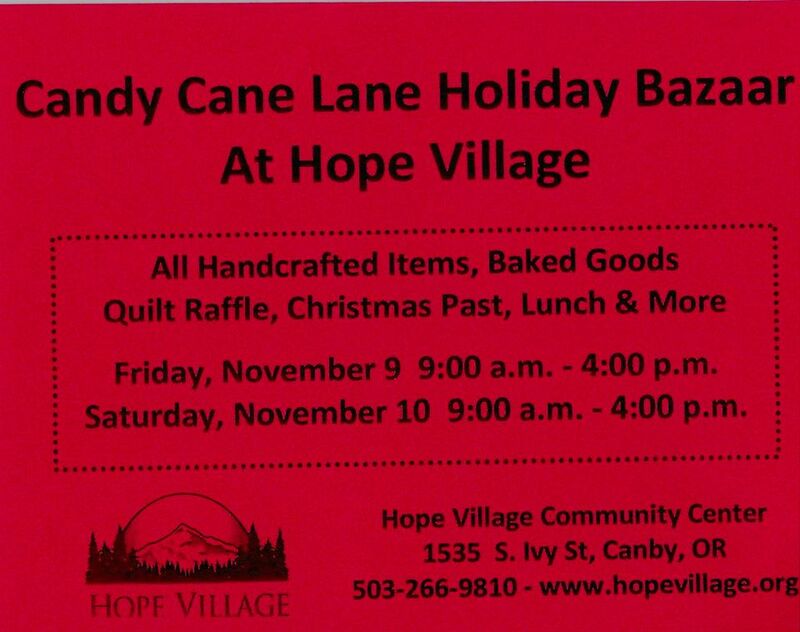 Hope Village Annual Candy Cane Lane Bazaar is happening Friday and Saturday, November 9 and 10, 9:00 AM – 4:00 PM. All Handcrafted Items including: Quilts, Jewelry, Woodworking, Candles, Bath & Body Products, Christmas Items, Knitted & Crocheted Items, Baked Goods, Quilt Raffle and Much More. The popular “Christmas Past” room is again filled with decorating and quality holiday items. Lunch is Available. Credit Cards Accepted.